We’ve translated an article from russian media Afisha Daily, published last year. I found it both understandable and interesting for those who want to know more about 360 technologies. In case you understand Russian here is the link to original article. Google has presented its first 360° clip from the project “Master & Margarita — I’ve been there,” in which celebrities read from Mikhail Bulgakov’s masterpiece at locations where the story itself took place. Afisha Daily tells you all you need to know to shoot this kind of videos. The technology itself has existed for quite a while, but it’s only now becoming popular. Namely, there are a lot of content producers these days, and it’s easier and more comfortable to watch this kind of video, either on your desktop, mobile or with a headset. You just have to head over to YouTube and choose a video you like that’s in the right format. The technology works like this: we shoot panoramas (either a usual one or in video) with a 360° or 180° field of view, meaning that the cameras (usually two or more) can see absolutely everything around, with each one shooting its own sector. The number of cameras necessary for shooting may vary — if we create a static photo-panoramic illustration, one camera is enough if it’s mounted on a specialized tripod and makes several passes, but two cameras minimum are needed for 360° videos. There do happen to be cameras that have a 270° range, which gives a strange feeling when you look ahead through a lens and see your feet. Usually six cameras are used, with many companies preferring the small size and good specs of a GoPro, since the more cameras you have the better resolution your footage will have. 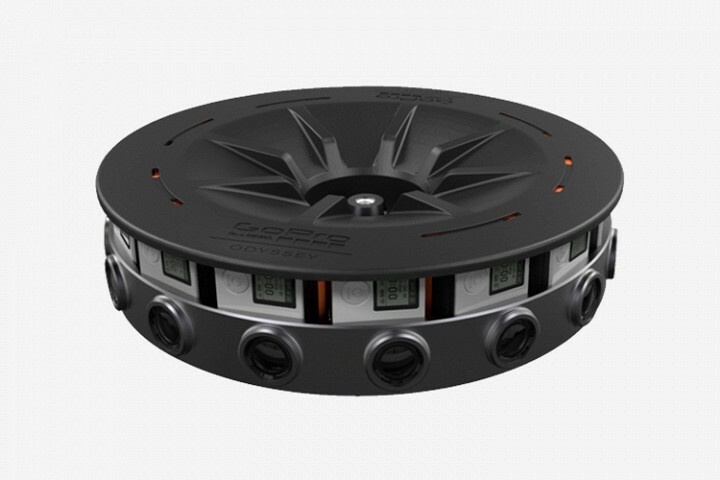 This isn’t a traditional camera so much as a professional system of 16 separate GoPro Hero4 Black cameras, as well as hardware and software (from Google) to connect 16 signals into one spherical video with 8K resolution and 30fps. Price — around $15 000. A compact, portable camera allowing you to shoot videos in full HD with frequency of 30fps and with up to 25 minutes of shooting at a time. A widget makes it possible to livestream and send the photo and video material to other devices wirelessly. Price — $349. The camera has two wide angle lenses, supports streaming via Facebook or YouTube and works well in with a Samsung Gear VR helmet. Price — $350. This camera is designed to be used in extreme environments — it’s splashproof as well as frost- and heat-resistant. It shoots in Ultra HD with a 30fps frequency using one ultra-wide lens with a 235° field of view. 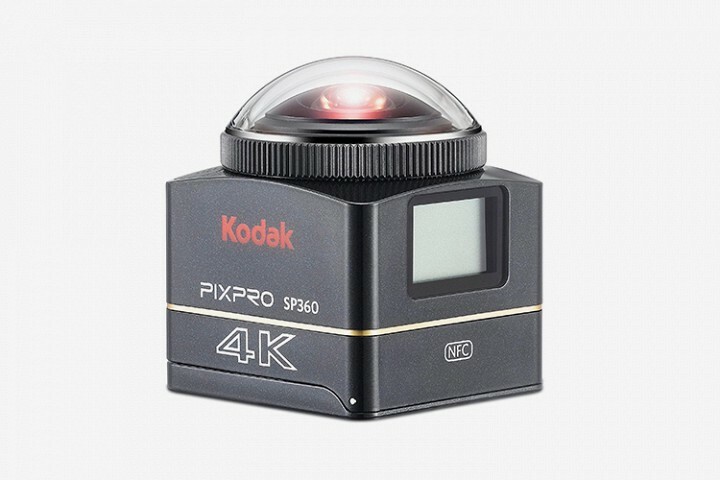 In order to make a completely spherical video, you’ll need to attach a second Kodak camera. Price — $449. One of the most affordable devices on the market is equipped with two 13-megapixel cameras with a field of view of 200° each and 4 gigabytes of memory, which can be expanded with a microSD card. 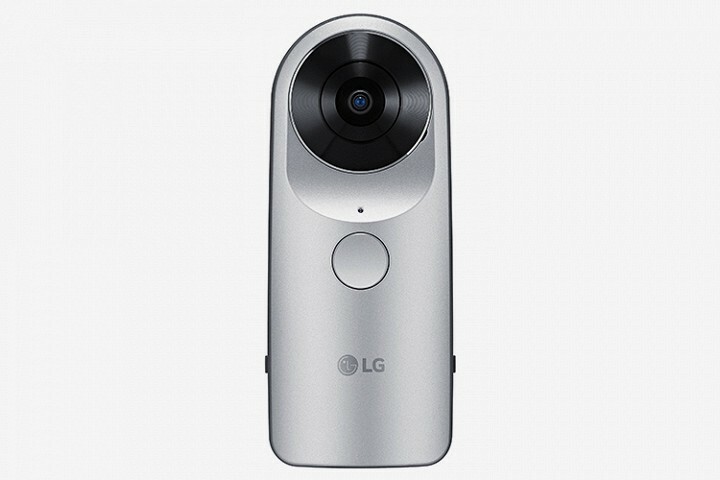 The LG 360 Cam shoots 2K videos in 5.1 sound recorded by three built-in microphones. Price — $160. 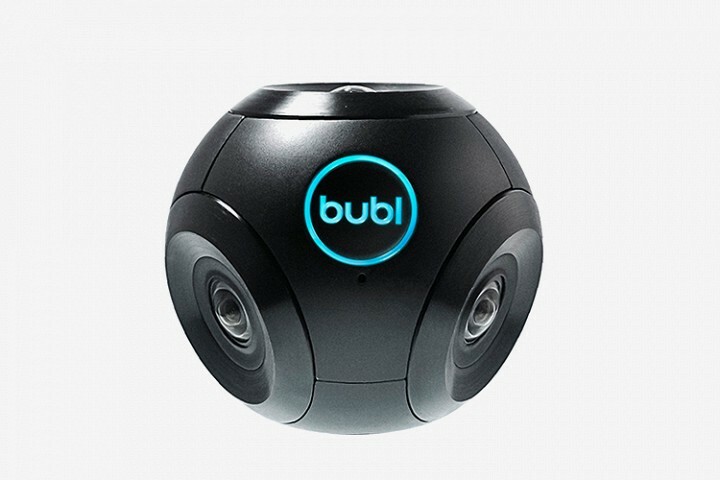 This device is more expensive with four 14 megapixel cameras and footage sitched into a spherical video. Frames, with a resolution of up to 720p, can be downloaded right away onto YouTube. Price — $800. Its designers boast a device that’s water-, dust- and shockproof. Maximum video is 1504×1504px with a frequency of up to 30fps. 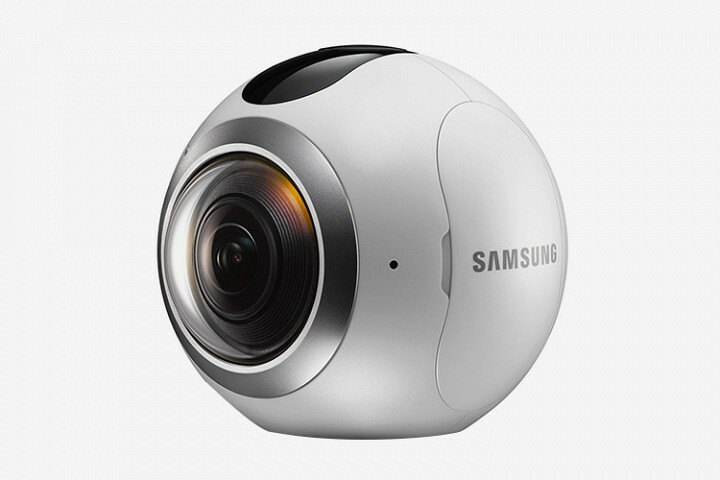 There is only one camera lens, which is why the video is not completely spherical. Price — $400. 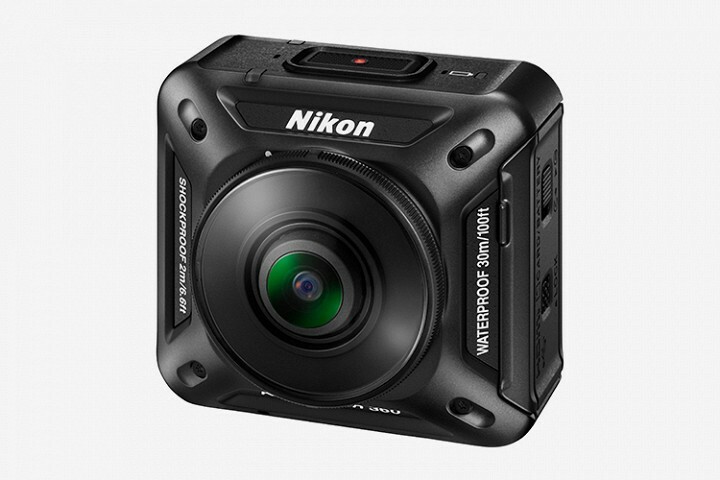 The first action camera from Nikon has two lenses and 20-megapixel sensors which record video in 4K. The device is waterproof, shockproof and resistant to extreme temperatures. Price — $499. 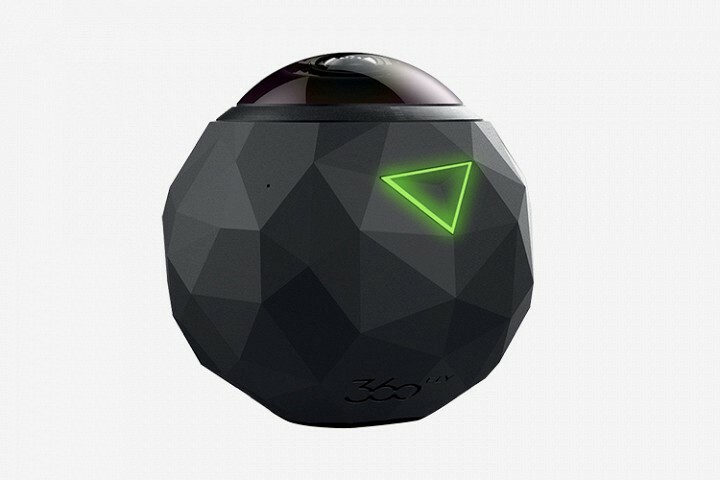 How to shoot 360° videos properly? “The Future Of Music” by Greg Barth and Phenomena Labs plunges viewers into a surreal, musical atmosphere. From a creative point of view, the most important thing is to come up with a narrative which would justify the use of such technology. You can’t just take the existing idea like a scene from a TV show, for example of a television and do it in 360°. The story has to be told in a way that makes viewers want to look around. To make this work, visual or audible prompts can be used, like when the main character goes out of the sight line or a loud noise, or voice, is heard off-screen. How to choose a venue for shooting? Don’t choose a small space — you don’t want your audience to feel claustrophobic. It’s better to go for a venue that your viewers want to explore, as curiosity encourages greater engagement. And it’s clear that some small nook will have less space for creativity than, say a labyrinth. The main difficulty is in the parallax effect, which is especially visible with objects in a close-up. It comes down to the same feeling when you close your right eye and then your left — the position of an object on the table in front of you will slightly change, as if it shifted a little bit to the right or to the left. In the foreground, straight lines become broken. Even with two cameras shooting at once we can see this effect. During the post-production stage, it’s helpful that adjacent frames always have an overlapping area and so we can draw a match line in a way that the effect is less visible. This is quite a time-consuming process, which is why it’s better to minimize the work while shooting with a correctly-placed 360° camera. It’s interesting that during a typical panorama shooting, it’s possible to avoid this effect altogether: we just need to turn the camera around the so called parallax-free dot, which every lens has. But it doesn’t work with video panoramas since there are two cameras minimum and their parallax-free dots are inside the lenses, which makes it physically impossible to shoot. Besides, the closer the lenses’ parallax-free dots are to each other, the less parallax effect there is. To reduce this distance, we have to disassemble the existing cameras, develop new camera bodies and rigs, change lenses, and develop systems for simultaneous loading, synchronization, cooling and power supply. This is an interesting and engaging engineering task. The more stitches there are in the video, the more difficult it is to get the ideal picture, but also the better resolution we’ll have in an end product. And if there are just a few stitches, the resolution may be not high enough for the content to be played on large screens. So it’s necessary to look for an ideal solution for each specific case. How to adjust a camera properly? This 360° clip is filmed with a camera latched onto an air balloon that flew up to an altitude of 27,000 metres into the stratosphere. Let’s take this kind of scenario: we’re having a staged shooting, where an actor performs in front of the camera from a script. We know in advance what will happen and how, and so have an opportunity to set up the cameras a way that the action’s caught on camera. We won’t have any issues with stitches, as the rest of the shot is much easier to connect than multiple frames with moving objects. But now take a different scenario, one where we can’t predict how the action will go — at a party for example. Then it’s better to compromise on the resolution of the material and use fewer number cameras (ideally two) in order to connect fewer frames during post-production. The second issue is how the viewer perceives video panorama. It’s not that important when they watch the content on a screen or from a mobile device, but it’s really critical if they use VR goggles. If the shooting’s done from a height of 50cm and you are, say, 165cm and watching the video while standing, you going to feel like you were squashed into the ground. It’s crucial to avoid situations when a person sees one thing and feels something different. Probably we’ll adapt to this in the future. But for now it’s better to suggest sitting down when watching this kind of content. What devices are needed besides a camera? A tripod is required — I haven’t seen a special tripod for shooting panoramas yet, and so we use our own that’ve been modified in-house. The usual light stands, straight rods without bends, are best suited for our purposes out of all existing, ready-made equipment. We don’t recommend using an ordinary tripod as its stands will likely be caught on camera and will have to be removed during post-production. Does lighting and contrast matter? Of course. While working with panoramas, it’s very important to set up the lighting right away, otherwise post-production becomes much more problematic. We work with heavy video formats like raw, and processing the footage is very time-consuming. Firstly, cameras that record in that format are physically larger than, for instance, GoPro, and the parallax effect is more visible. Secondly, processing requires some serious computing capacity. Thirdly, you’ll need a large space to store source materials and the finished panorama. It means that, in order to ensure that the process doesn’t differ much from that of more traditional content (where most lighting defects are easily removed after shooting), we need to create the mise-en-scenes more accurately when we shoot. This means that more time and resources are needed in post-production. GoPro cameras don’t like mixed light either, and so it’s better to have all your light sources in high quality. Try to integrate them organically into the interior, or hide them so that you don’t have to wipe them out during post-production. If you have the chance of using sunlight, excellent. And it’s absolutely free. 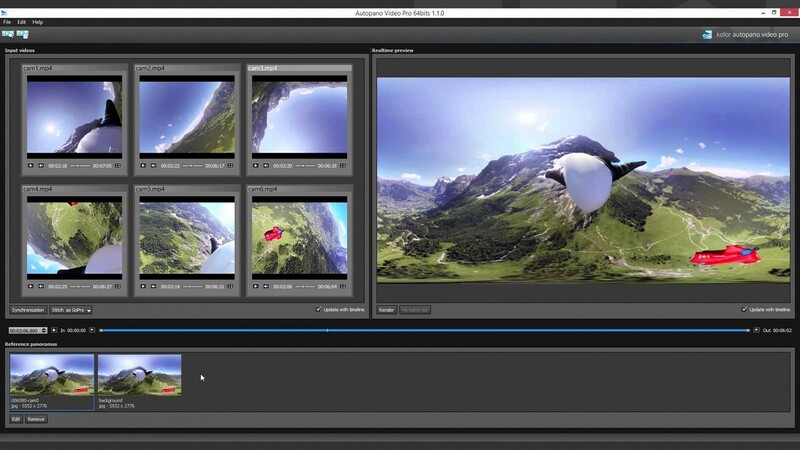 For live broadcasts we use in-house software, and for making panoramas we use Kolor products — in particular, Autopano Video Pro. For the next step, video editing, you can use different kinds of software, either paid-for or freeware. Historically we work with Adobe software, but we could have worked with Final Cut or even, probably, Movie Maker. Prosense is a global leader in the field of broadcasting sporting, cultural and business events in virtual reality (VR). Our technology helps users get completely immersed in the favourite team’s latest match or at the concert of the hottest new band.